The Devilbiss Vacuaide Portable Suction Machine 6 Foot Patient Tubing has been designed to be used with the Devilbiss Vacuaide 7305 P-U Portable Suction Machine. Discounts are available for bulk orders. Please contact the Medical Supplies Customer Care Team on 020 7720 2266 for more information. 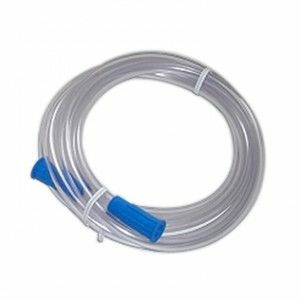 The Devilbiss Vacuaide Portable Suction Machine 6 Foot Patient Tubing (Single) is usually delivered by 24 hour courier. For orders that are placed before 2pm Monday to Friday, your order should usually be dispatched the same day for next working day delivery.